The big question before tonight's episode is how do we handle this season. We're used to telling the listeners what's going to happen in the next few days. We are the spoiler show. But this season has plenty of challenges, give the shorter schedule and multiple shows aired per week. But we came up with what we believe is a successful formula. 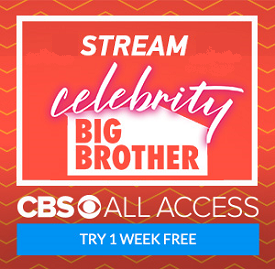 We do chat about what CBS showed in their broadcasts, and it brought up a few opinions we may not have thought about before. But we had a great opportunity to show everybody what CBS didn't show. Like some of the racially-tinged comments from Omarosa that didn't make the edit, or how Brandi and Ari were the surprising originators of the plan to target Shannon. We also talk about Metta's attempt to leave the house early, and Colette has a great commentary on just why he was so determined to quit the show. We are oh so happy to put this show together, and we really appreciate all of the support you guys give us every year. If you want to help out please check out our Patreon site. We are including the various elements of Scott and Colette's Day Drinking spinoff show as part of this year's rewards, so we really hope you think about checking it out. Otherwise, you can find this show on iTunes, Stitcher, and all of the usual podcast sites. Oh yeah, and it also helps us out a lot if you do some simple little things like retweet this post, or any post about the Big Brother Gossip Show. Or if you're a member of our Facebook group, hit that little share button.You can find this show at all of the various podcast sites, or click here for a direct download!